ANEW type of plane which can rise vertically and fly forward or backward, or hover in the air was successfully tested the other day in New York. 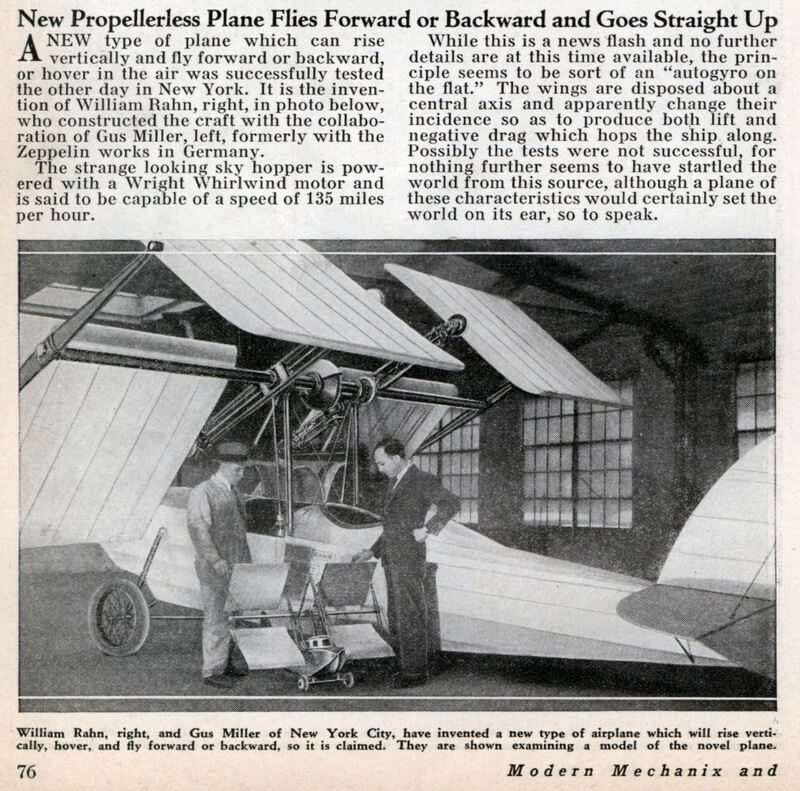 It is the invention of William Rahn, right, in photo below, who constructed the craft with the collaboration of Gus Miller, left, formerly with the Zeppelin works in Germany. The strange looking sky hopper is powered with a Wright Whirlwind motor and is said to be capable of a speed of 135 miles per hour. 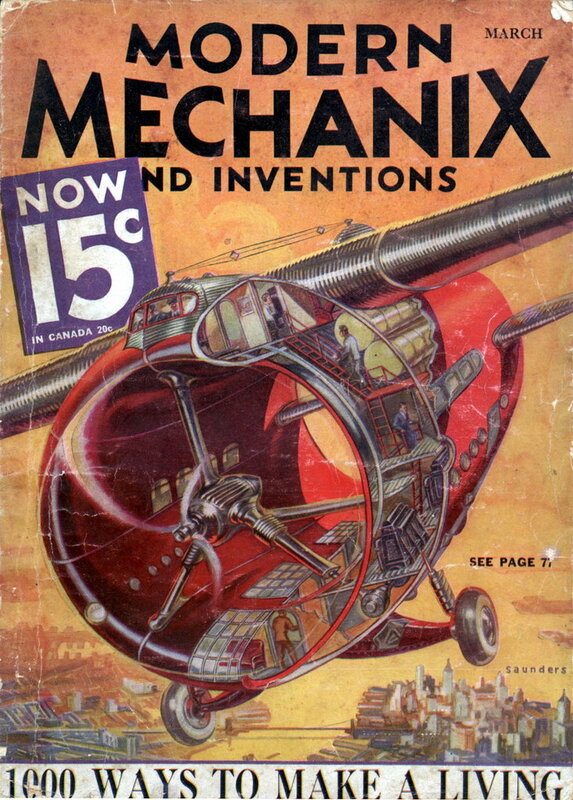 While this is a news flash and no further details are at this time available, the principle seems to be sort of an “autogyro on the flat.” The wings are disposed about a central axis and apparently change their incidence so as to produce both lift and negative drag which hops the ship along. Possibly the tests were not successful, for nothing further seems to have startled the world from this source, although a plane of these characteristics would certainly set the world on its ear, so to speak.